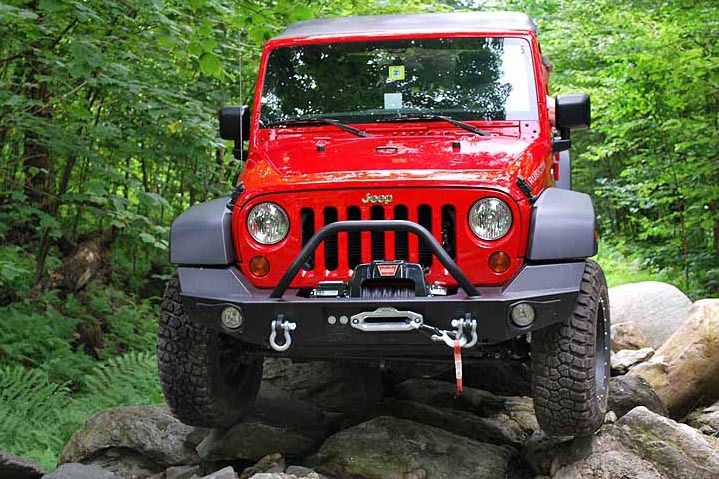 When company business requires an employee to take a business vehicle off-road, the stakes increase exponentially. Employee and Vehicle Safety are of paramount concern. Should an incident occur during one of these trips, the Insurance company always asks "what training did your employee have?" This class is not only the solution to the insurance companies questions, but it will also make your workplace safer, while increasing productivity, and job satisfaction amongst the force. Could your employees be safer, more productive, and better equipped when driving their company vehicles Off-Road? Driving a 4x4 vehicle off-road is very different than driving that same vehicle on the highway. There are some simple techniques that make off-road driving easier, smoother, faster, and safer, but proper training is the key to turning these techniques into skills. 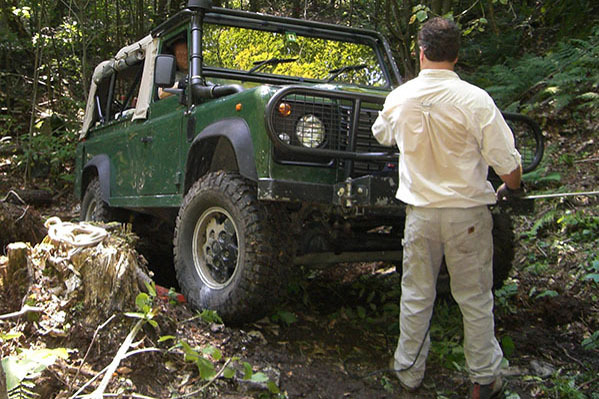 Every course starts with a classroom session that breaks down and simplifies the vehicle mechanics, driving techniques, and gear needed to expertly operate a 4x4 vehicle off-road. We then head out into the field where we can use our 3000 acres of mountainous terrain to practice. Classes start in our "warm-up area"; 30 acres of purpose built obstacles where students can see what the driving techniques feel like on a relatively high-traction surface. Once they are comfortable in the warm-up area, we venture farther up the mountain and into more natural and challenging terrain and surfaces. A big part of driving off-road safely and effectively is carrying the appropriate recovery gear AND knowing how to use it. Students will get an in depth overview of commonly used recovery gear, which gear is best for their vehicles and work environment, as well as how to use the gear in the safest way possible for both themselves and their vehicles.